Thought I should point out for those of you who just read my blog through Google Reader – I put this new picture of the girls as the header on my blog. Notice a few things. First – Norah is totally into posing right now and usually she has to ask if her hair looks okay. Isn’t she a little young for that? Second – After you look at Norah’s pose, look at Daphne. She totally did that all on her own. It was all we could do to get her to sit for 5 seconds and when she did (and we looked back at the picture later), she was sitting just like Norah! Third – I don’t know what is up with Lucy, but that is how she smiles for a picture unless you tell her to smile nicely. We were so focused on getting Daphne to sit that I didn’t notice Lucy’s smile – in every picture!! Over the last couple of years I have been inspired by Heather M. and her cakes. 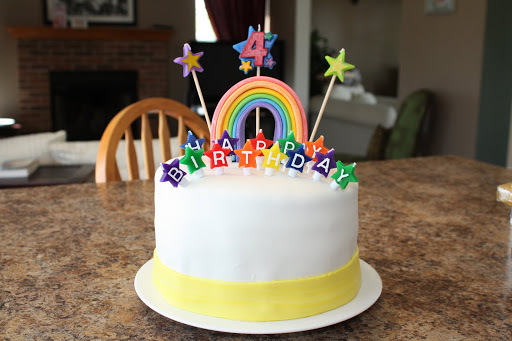 We decided to make an attempt at a fondant cake for Daphne’s birthday and since it went fairly well, we made one for Norah and Lucy’s birthday’s as well. As much as I would like to take ALL the credit for the cakes, I can’t. Kevin actually helped a lot! 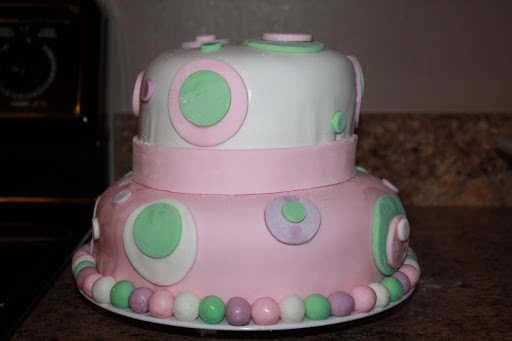 He did the hardest part – covering the cakes with one piece of fondant. I decorated the top of the cakes. 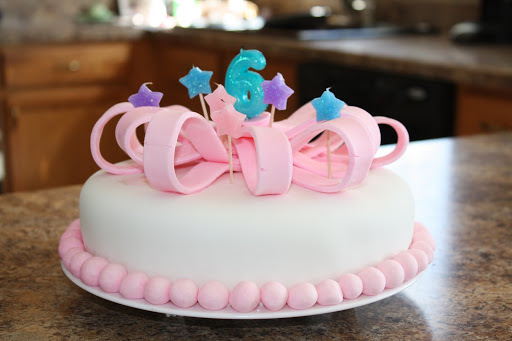 After this weekend, Kevin said he is glad the girls birthdays are over for the year – no more fondant for a while!! Seriously. I don’t know where the last 4 years go? It feels like Lucy was just born. I posted about her rough start here. Also, for more picture of Lucy, check out this post. I am so incredibly thankful that God gave her life. I am so thankful that despite the rough beginning Lucy is perfect. Perfect. I remember imagining all the problems that could arise when a child is not breathing at birth and yet, Lucy is more than fine. Feisty – but perfect! 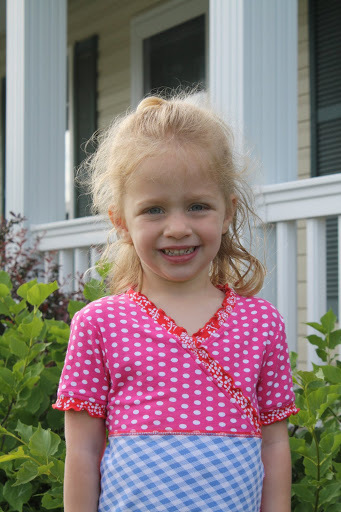 Maybe years go by more quickly with the middle child, but it is really hard to believe that she is 4. She is a loving, snuggly, happy child. 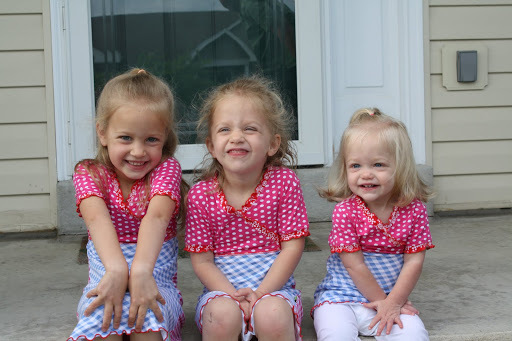 She adores her sisters – both of them. She adores her daddy. She is dramatic and ornery, but she is so easily distracted. She doesn’t really mind being in trouble – actually loves being sent to her room. She plays with dolls and stuffed animals and dresses up all the time. She likes kicking the soccer ball around with Norah and she has officially learned how to pump her legs on the swing. She could swing for HOURS. She has learned most of her letters all on her own and is learning to write just by observing Norah. She loves her “school” time and loves sitting with us as we read our chapter books. She is a “sweet-aholic.” Not kidding you, she can smell sweet stuff a mile away. If we have chocolate in the house – Lucy smells it. She is always hungry, but if you offer something healthy, she changes her mind. She is so sweet and polite and is more than willing to share or give up something for those around her. She is compassionate and empathetic. She often cries when she sees others crying. The last 2 years I mentioned that Lucy loves to talk – and here we are at 4 and she STILL loves to talk. On the way home from Norah’s soccer game today, she talked the whole way. She rarely takes a breath. We love watching Lucy grow and are excited to see what the Lord has in store for her!! !